Our Pure Patchouli Essential Oil from Indonesia has a delightfully earthy, smoky aroma. 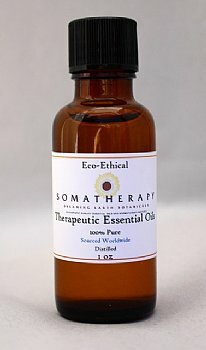 Soothing for all skin types, Patchouli essential oil is especially great for mature skin. It is also useful for protecting dry or blemished skin and for treating dandruff. Its musky, exotic aroma lingers and has a calming effect on the spirit. Traditional uses include: anti-inflammatory agent, antiseptic, astringent, aphrodisiac, and perfume. Can prevent sleep with its nerve stimulating properties. While bathing, smooth on the scrub, massaging the skin gently as you go. Rinse your skin well. Note: The tub may become slippery, so use caution. Review: Love this patchouli! I use it daily in lotion for dry skin. Not only does my skin feel incredibly soft but I receive daily compliments about how good I smell. My new favorite essential oil!!!! !